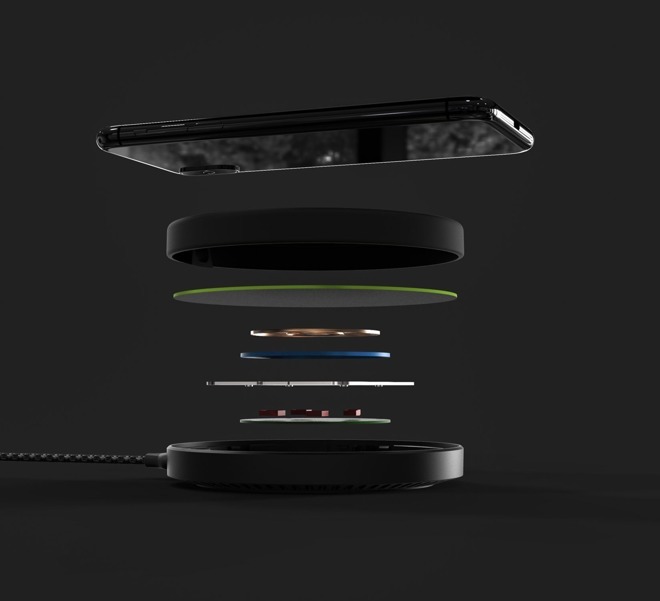 Of all the different talking points for NightPad, ElevationLab is primarily touting the lack of any external LEDs. This is a problem that they, and many others, have had issues with for some time as almost all other chargers out there opt for a fairly bright status light that sticks out in a bedroom environment. The iPhone does provide charging feedback including an audio tone and a visual demarcation, though this does remove the easily glanceable status to know when iPhone has finished charging. 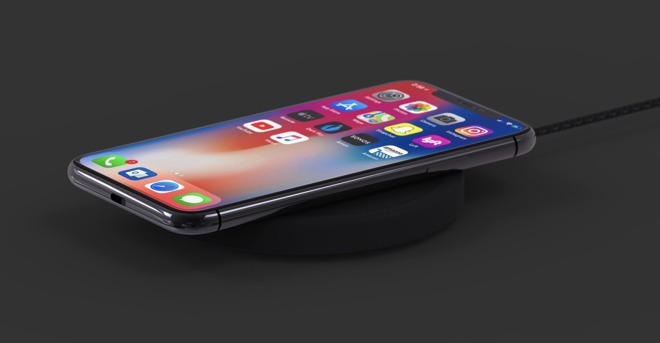 ElevationLab's NightPad is capable of charging iPhone at 7.5W, the maximum that the iPhone 8, 8 Plus, and X will allow. 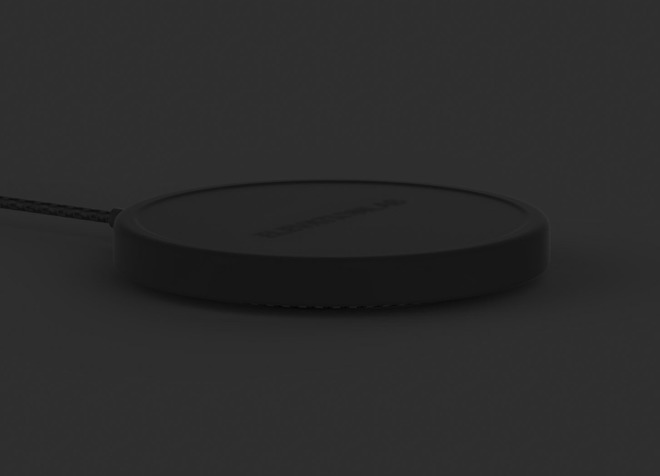 Similar to ElevationLab's other products, NightPad is simply designed, void of any markings or logos that usually plague other chargers. It also looks to have a fairly compact size, much larger than the bulky model that Belkin debuted alongside the latest iPhones. It has a silicone ring around the top to keep devices in place while charging, and a soft-touch finish that gives it a more "premium" feel. For those using Android handsets, if you're into that sort of thing, NightPad can handle charging up to 10W fast-charging. 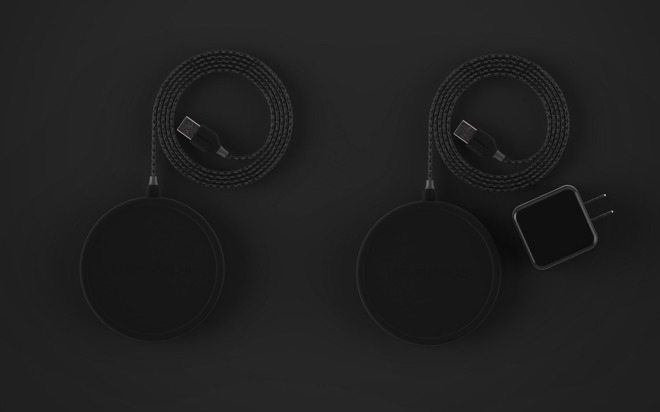 Similar to the nicely-braided cable of their recently-launched CordDock, NightPad has a six-foot braided able to go along with, and an optional 15W QuickCharge 3.0 power supply. If you'd like to pick one up, the charger by itself will run you $39.95, or you can grab a power supply at the same time for $49.95 for the pair. We are also able to offer our readers an exclusive 25-percent off discount code, just for this week. During check out, use code AINP25 over at ElevationLab's website. Stay tuned to AppleInsider for our full review in the coming days.